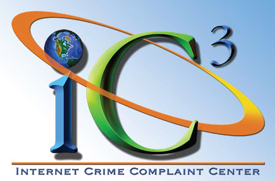 The May 2017 FBI report from the Internet Crime Compliant Center shows another increase of 8,260 victims of business email compromise. It is just a matter of time until you or one of your employees receive an email meant to trick them into sending your money to someone that does not deserve it. The FBI estimates the average loss of CEO fraud attacks at $25,000 to $75,000 per event. The report included this infographic to show losses by age groups. Here is an example from one of my clients. The person that received the message determined the message was a scam. That is great for her company. 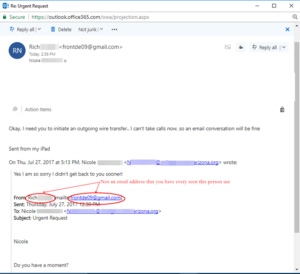 Are all of your employees educated on what to look for in email scams? Did you know that you can get free training videos from phishme. The typical video last just 5 minutes. It gives effective training that can make everyone aware of deceptive email messages. 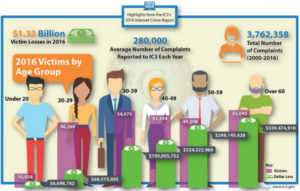 The IC3 report listed 12,000 reported incidents of the CEO fraud scheme in 2016. This scheme includes an email from the company CEO or CFO that requests a money transfer that needs to be done today. The email never comes from a business executive is uses the name or email address of a business executive. The CEO or CFO does not know about the message. It is easy to just call until you contact the person to verify the transaction. The complete document is available at Cybercrime Unit.